When you have a growing family, baby gates can be one of the more important investments for safety you make around your home. They can add a needed element of predictability and protection when your little one starts to explore, keeping your baby safely contained when your attention is needed elsewhere. 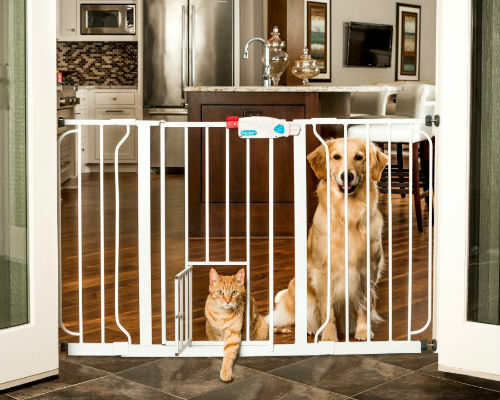 This North States Supergate Deluxe Decor Baby Gate gets our top marks for its safety, ease of use, and stylish aesthetic. It’s pivoting wings give it the ability to serve in either standard-width door frames or extra-wide spaces, spanning between 38.3 and 72 inches without the need for any extensions or slides. It’s certainly at the top of our list for the best baby gates of 2019. They can also be crucial for keeping your baby safe around the more dangerous areas of your home, such as the stairs or fireplace. But at the same time, some baby gates can needlessly be a bit too much of a nuisance to everyday life. Constantly needing to step over the gate, taking 10 seconds and needing both hands to undo its lock, or having to ensure the gate shuts properly behind you when you’re in a hurry. Some baby gates are just an everyday pain. But fortunately, not all of them are. 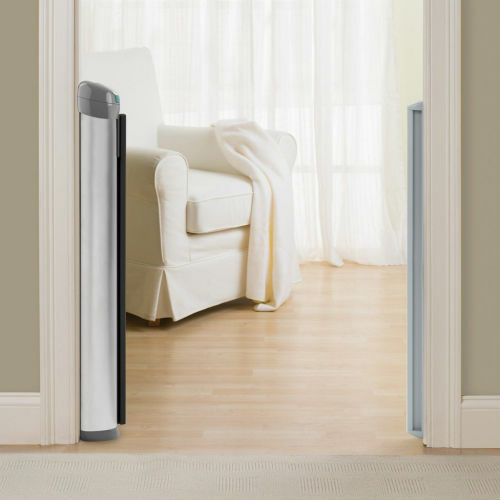 Certain baby gates are designed for the ideal combination of optimal safety, sturdiness, and convenience, and it is our task at the Baby Gate Guru to find them, bring them to your attention, and compare them against other leading gates on the market. 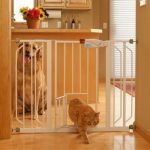 We try to consolidate that information throughout this site to help make your decision of choosing the best baby gate for your home or daycare hassle-free and a little quicker. Let’s get started by looking at our list of the 10 best baby gates available in 2019, organized into the below comparison chart so you can quickly see which ones will work with the space you are working with, or sort by other important factors such as price range and average customer rating. Hopefully the comparison chart above is helpful in providing a quick overview of key metrics for some of the best baby gates. The first step for choosing the right fit for your home though is of course to identify the area(s) in your home that you would like to have a gate, and then which style of gate will work best for it. Naturally there are sizing concerns, as the gate you ultimately choose will need to fit into the space you have in mind for it. But there are also certain features useful in different areas of the house that various styles of gates specifically offer. For example, a gate designed for the top of the stairs should have the crucial feature of a door that swings in only one direction so it will never swing out over the stairs themselves. We have written guides for choosing the best baby gates in each of the various styles, that go into more detail about these features and what to look out for from one gate to another. 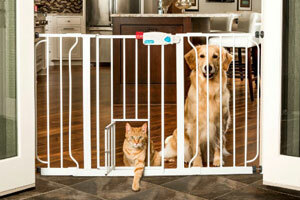 Click on one of the baby gate styles below to learn more about it. The stairs are the most important area of the house for placing a baby gate. Most other areas of the house are simply about containment–making sure your baby is safely in one spot playing–but a baby gate for stairs, especially one for the top of the stairs, ensures that the child doesn’t accidentally tumble down and have a serious injury. 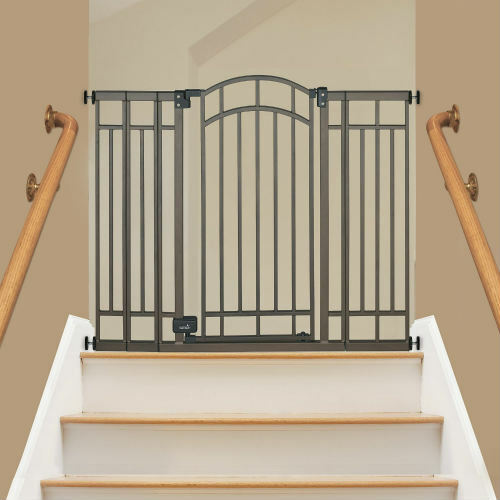 When it comes to baby gates at the top of the stairs, the gate must be sturdy enough to have zero risk of falling over if the child (or anything, for that matter) is leaning on it, so the right hardware mounted metal gate is crucial. No pressure mounted gates will work reliably enough to trust here. For more details about what features to look out for, read our guide comparing the best baby gates for stairs. 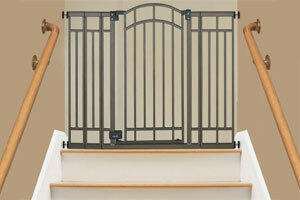 Growing more and more popular in modern homes are retractable baby gates. They allow the features of a baby gate when you need them, while tucking neatly away and mostly out of sight when you don’t. 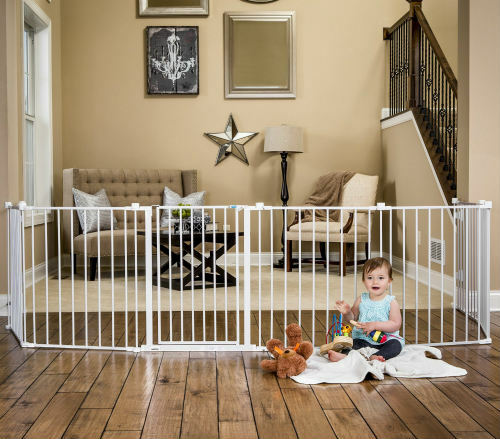 Retractable baby gates are typically quite a bit more expensive than even heavy-duty metal baby gates, but to many parents the added cost is worth the convenience and aesthetic of being able to hide away the baby gate when it’s not in use. 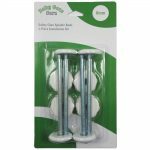 Also, since they are typically made of mesh and can simply expand to the other side of the mounting hardware, retractable baby gates tend to be able to accommodate extra wide spaces. 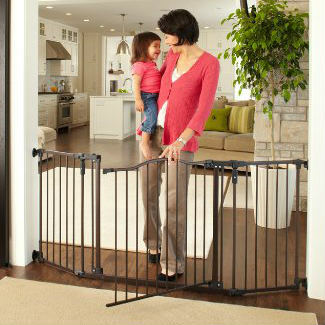 To see more details on individual models, read our full retractable baby gates guide. Not all spaces you want to use a baby gate on are going to fall neatly into a standard size. Standard doorways in the U.S. are 34 inches wide, but often there are entryways in the home much wider than that which we want to gate. Especially with the trend towards open concept living. That’s when turning to an extra wide baby gate is the right choice. The maximum width an extra wide baby gate covers varies greatly from model to model, but a common coverage for a gate is up to 72 inches. However, there are some super wide gates that come in sets that cover up to 192 inches, like the Regalo Super Wide Gate pictured. It’s so wide and flexible it can also be used as a standalone playpen. For more options that cover large spaces, read our full guide to Extra Wide Baby Gates. Some extra wide gates are designed so wide that they can become self-enclosed play pens, or play yards. 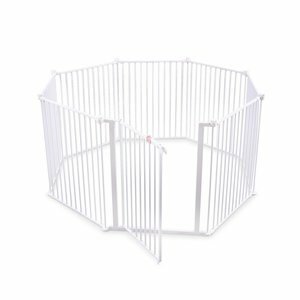 These gates have panels that can connect to each other in any configuration you want, and often you can buy additional panels separately to make a play yard of any size you would like. Play yards can be a great solution to keeping your child safely contained in a room that you may otherwise not want him or her wandering around in. They can stay engaged and have lots of fun with their favorite toys inside the play yard. To see a comparison of some of the best Baby Play Yards, read our full overview article here. Baby gates of the past, and indeed the super cheap baby gates of today, were just variations of the same wooden or plastic panel design. For an adult or older child to get past them required swinging out the whole gate, fully removing, or stepping over. 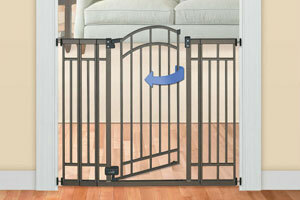 It’s an inconvenience that can now easily be avoided with a quality baby gate with door. Choosing the right baby gate with door though is crucial though, as some doors can be as inconvenient to operate as not having a door in the first place. Important considerations involve the ability to open the door’s lock with one hand, while the door’s lock being difficult enough to operate still that your child can’t unlock it when they’re not supposed to. To see a comparison of the best baby gates with doors, read our full overview article here. It can be so enjoyable to be outside on a nice day, and equally enjoyable for your baby or small child to have the freedom to play outside too. But some yards and patios are more dangerous than others. There are often steps, banisters, and hard stone surfaces that are not safe around an unattended baby. A solid outdoor baby gate can often solve this problem! 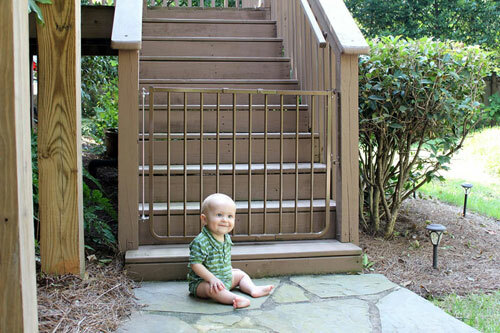 Some baby gates are made better than others when it comes to weather resistance and durability for being outside, so it’s important to choose the right gate that was made with outdoor use in mind. To see a comparison of the best outdoor baby gates, read our full overview article here. It’s easy for parents to see that fireplaces can be one of the more dangerous spots in the house for your baby. Hard stone and brick surfaces with hearth steps that are low enough for the baby to reach makes for a bad falling hazard after the baby has learned to crawl and climb up on both feet. 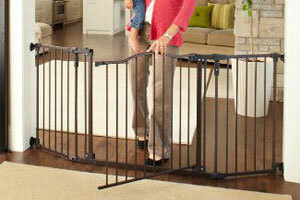 One of the best ways to turn this hazard into a safe zone is with a good fireplace baby gate. 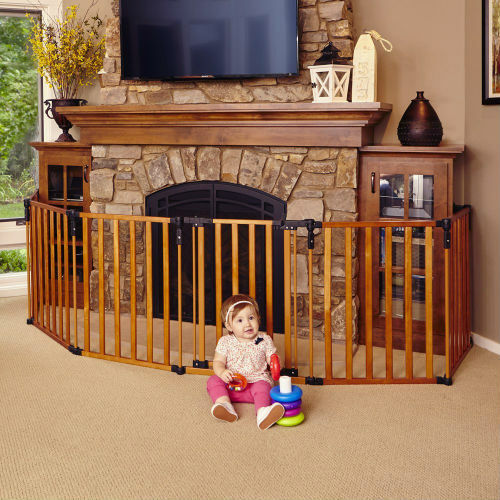 Fireplace baby gates are extra wide so they can stretch from wall to wall around the fireplace, creating an effective barrier to keep your baby away from the potentially dangerous zone. To see a comparison of the best fireplace baby gates, read our full overview article here. 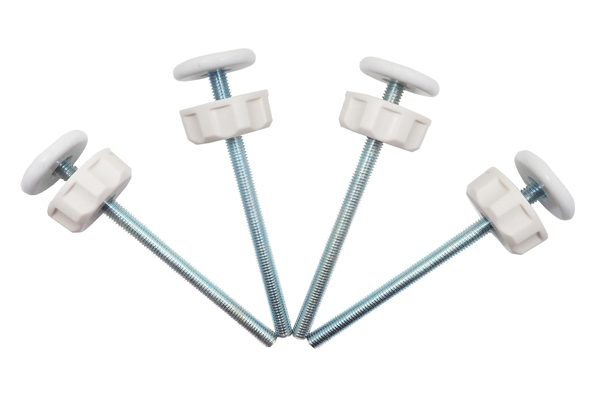 Not everyone wants to put screws in their wall to mount a baby gate that may be a very temporary addition to the home. 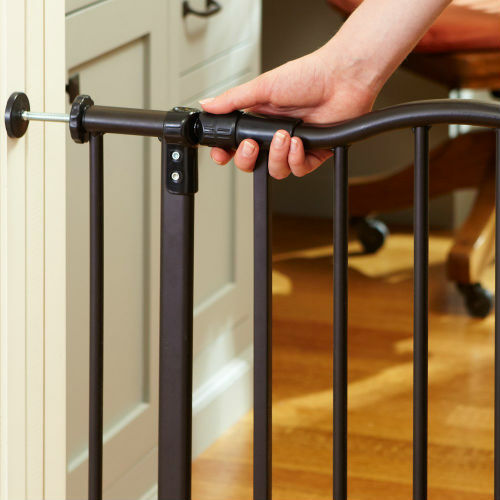 In those cases, using a pressure mounted baby gate is a great way to save your walls from screw holes. 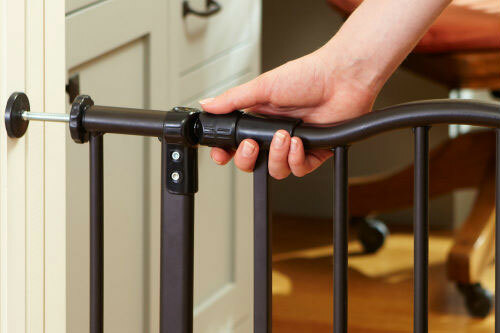 Pressure mounted baby gates use spindles that push up against the wall to keep the gate in place. They are not quite as sturdy as hardware mounted gates so should not be used at the top of stairs, but can be plenty sturdy enough in most other locations in your home. 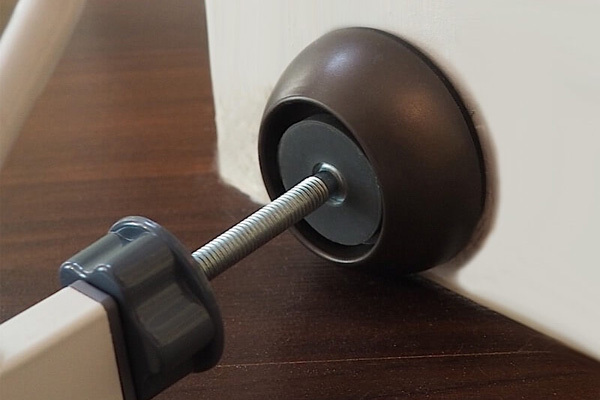 If you want to protect your walls from indentations left by pressure spindles that are tightened hard, you can simply use a pressure gate wall protector in between your gate and wall. 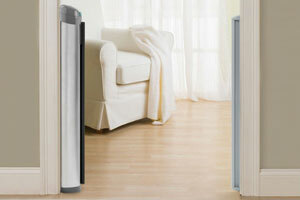 To see a comparison of the best pressure mounted baby gates, read our full overview article here. Want To Read The Baby Gate Reviews Of Others? Have Your Own Review To Share?